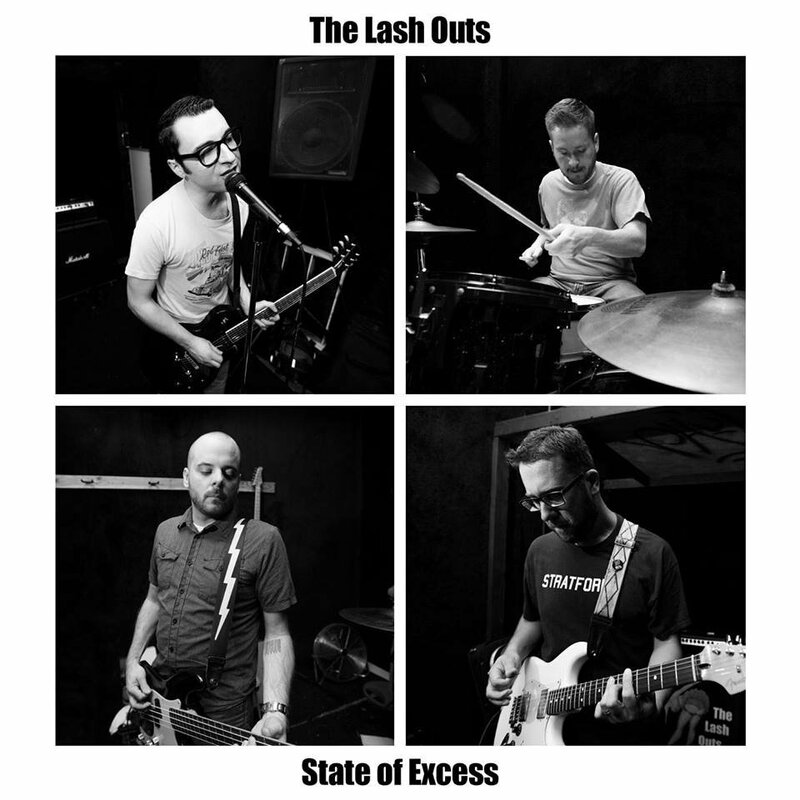 The Lash Outs live up to their name on their third album State Of Excess by mixing criticism and aggressive arrangements in equal measures. Their targets are well chosen, though, and while the quick-rhyming put-downs come fast and furious, they’re clever and fun. It also helps to have a vocalist like lead guitarist Joey Holbrook, who sounds like the late Phil Lynott of Thin Lizzy at times. Basically, this Dallas-based quartet has little patience for jerks, whether it’s the snot-nosed fellow employee on “Work To Get By” or a woman’s parasitic boyfriend on “Don’t Know Why.” Holbrook is like a boxer landing punches when he sings, “When she comes home from work/She’s sure to find a jerk.” On “Retail Therapy,” a song about a shopaholic, he notes, “This little habit, she can’t combat it,” while cutting loose on guitar alongside rhythm guitarist-vocalist Ralph Thompson. Holbrook, Thompson, bassist Adam Allen and drummer Dustin Crabtree craft a catchy sound that’s part hard rock, part The Ramones, and at times reminiscent of “Back Of My Hand (I’ve Got Your Number)” by the UK band The Jags. While The Lash Outs obviously relish their zingers, there’s a sort of ‘don't try this at home’ message in their song “Mistakes.” Holbrook urges taking care, because angry words or actions “could mean the end of you or someone else.” A warning worth heeding in these troubled times.